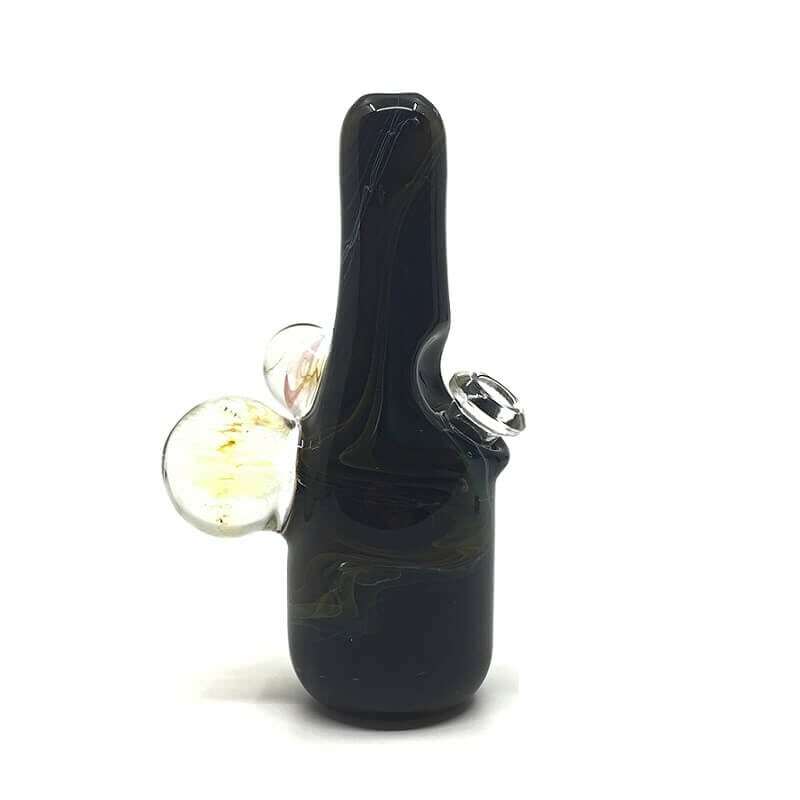 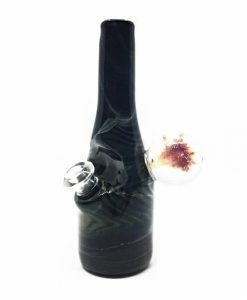 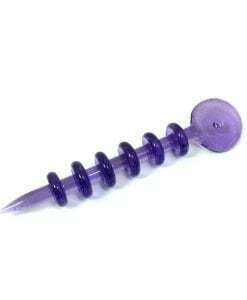 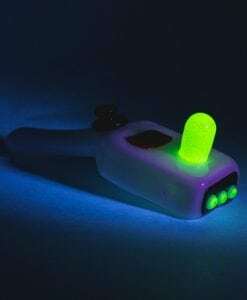 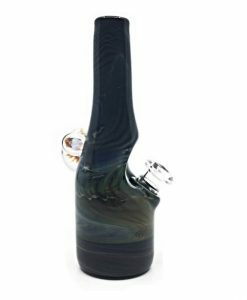 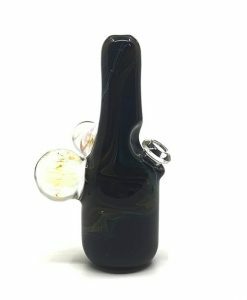 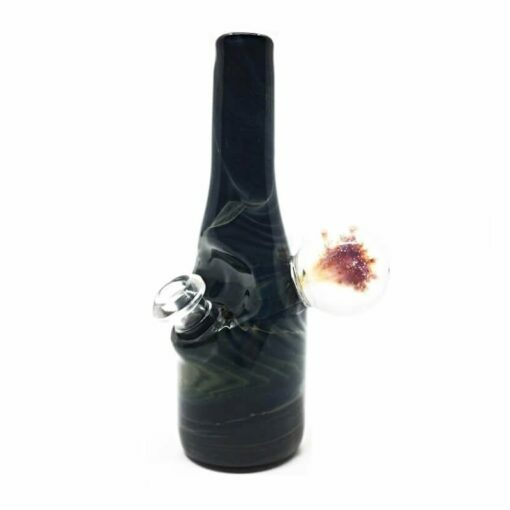 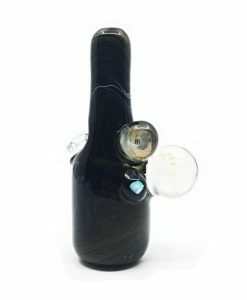 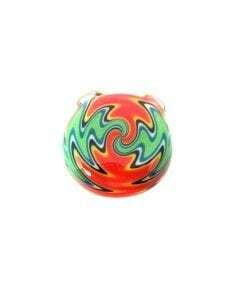 This Dab Rig features a colorful fume design folded over black tubing creating a mirage of depth. 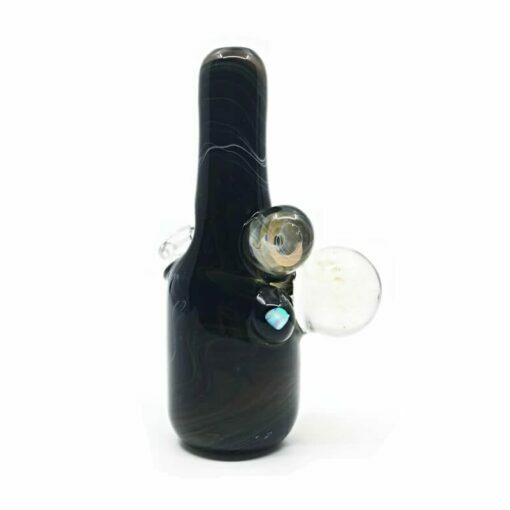 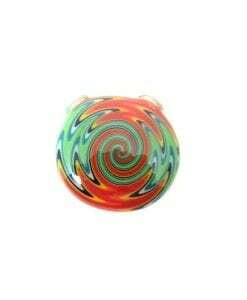 This Fume Rig by Sugar Shack Glass features a colorful fume design folded over black tubing. 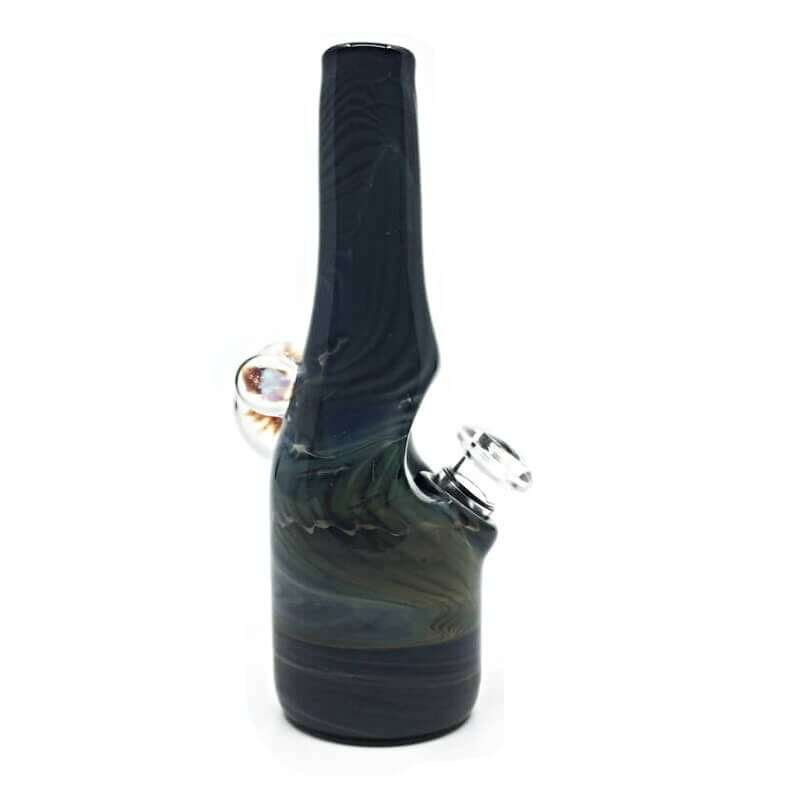 This design creates a mirage of depth and uniqueness. 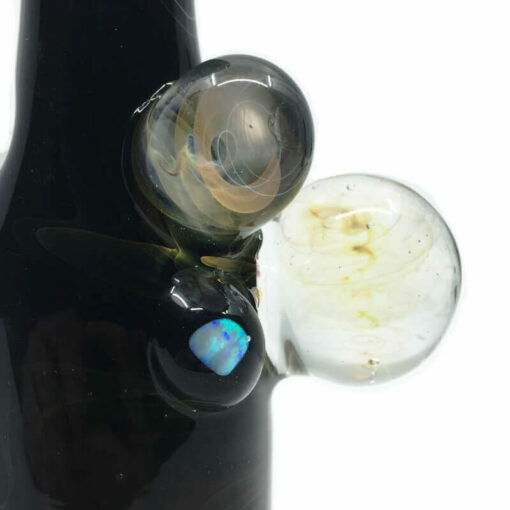 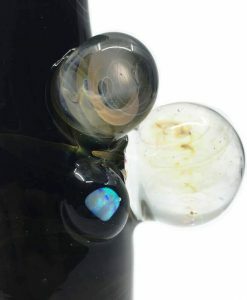 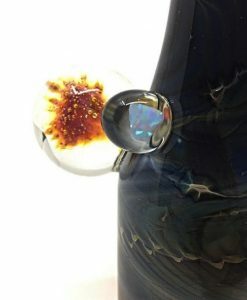 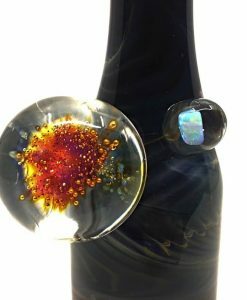 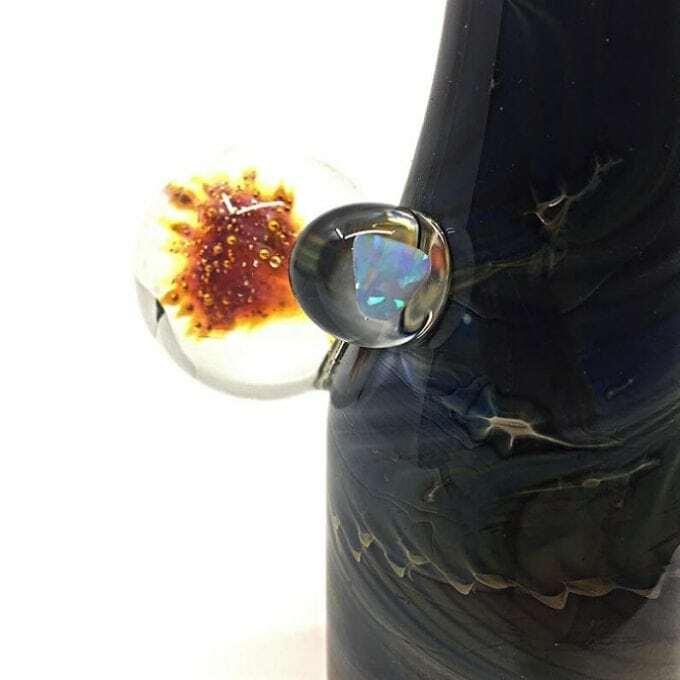 A one-of-a-kind piece with a signature marking of an encased opal chunk, and large marble–usually a fume or splosion marble. 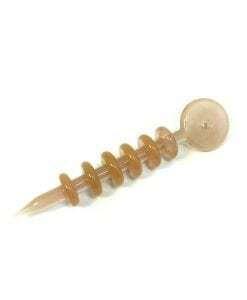 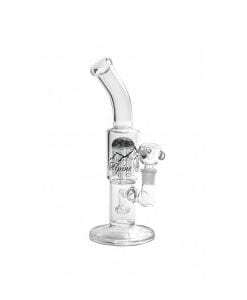 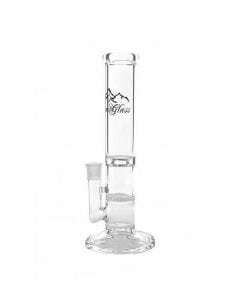 This mini rig comes with a removable 2-hole diffused downstem. 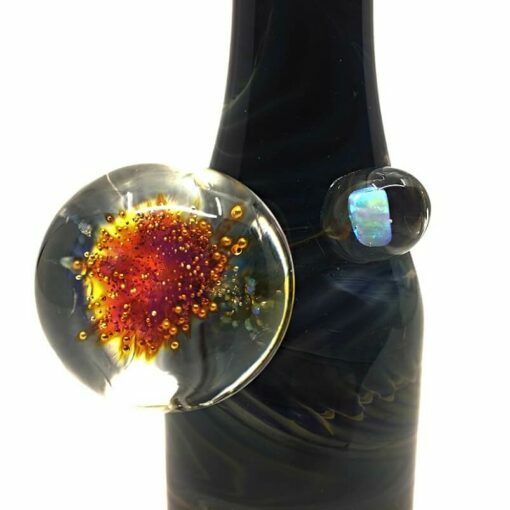 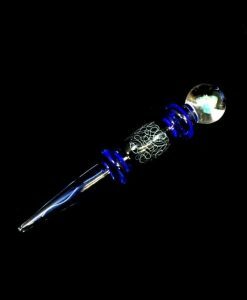 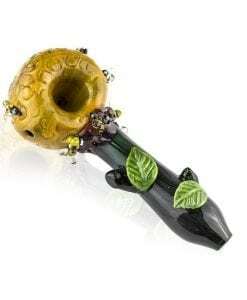 Sugar Shack Glass is an American glassblower that specializes in carefully detailed high quality glass art at an affordable price.